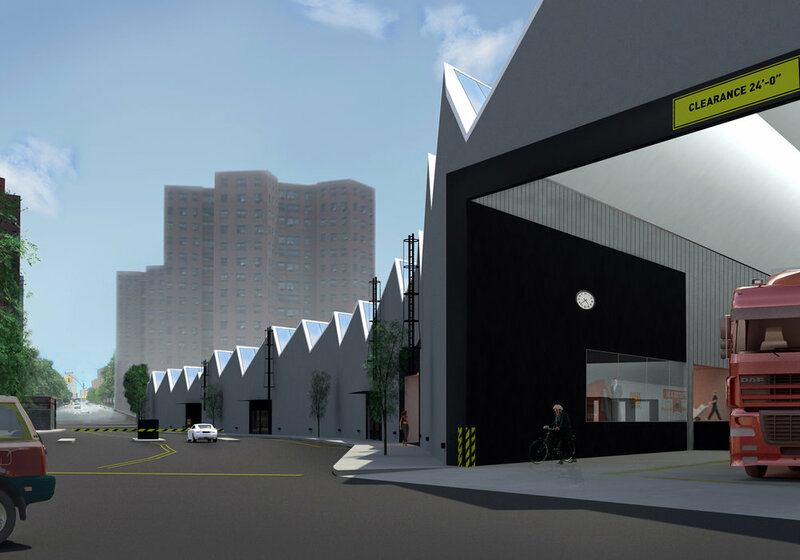 SAS submitted this proposal to the Brooklyn Navy Yard Development Corporation in response to an RFP for a light industrial building on Sands Street. 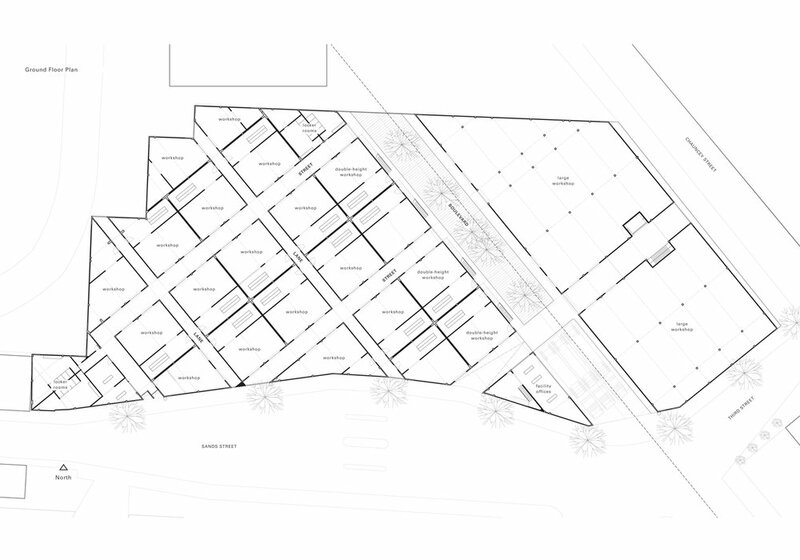 SAS saw this RFP within the larger framework of the BNYDC’s current development and expansion as an ecologically sustainable and economically viable industrial park. SAS positions the new Sands Street building as the hub of the BNYDC’s current expansion, and optimizes the infrastructure that serves it. This infrastructure, funneled through the historical Sands Street Gate, converges at the building site where SAS imagines a light industrial building that provides day-lit work spaces in a campus-like setting. A lightweight single story warehouse structure spreads across the site, all housed under a saw tooth super roof that collects water, daylight and solar energy.